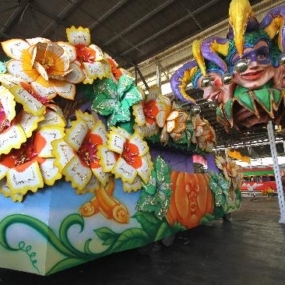 Step behind the scenes of New Orleans’ famous Mardi Gras celebration. 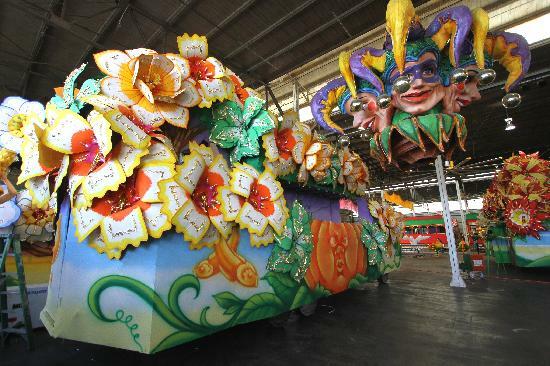 Mardi Gras World, located adjacent to the Convention Center, is a top attraction for its whimsical float-building warehouse. 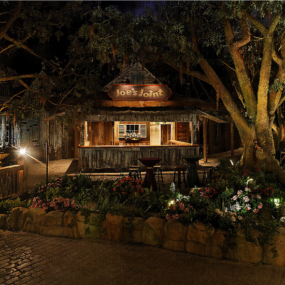 It’s also an incredibly versatile event center that can accommodate groups of 10, all the way up to 10,000. 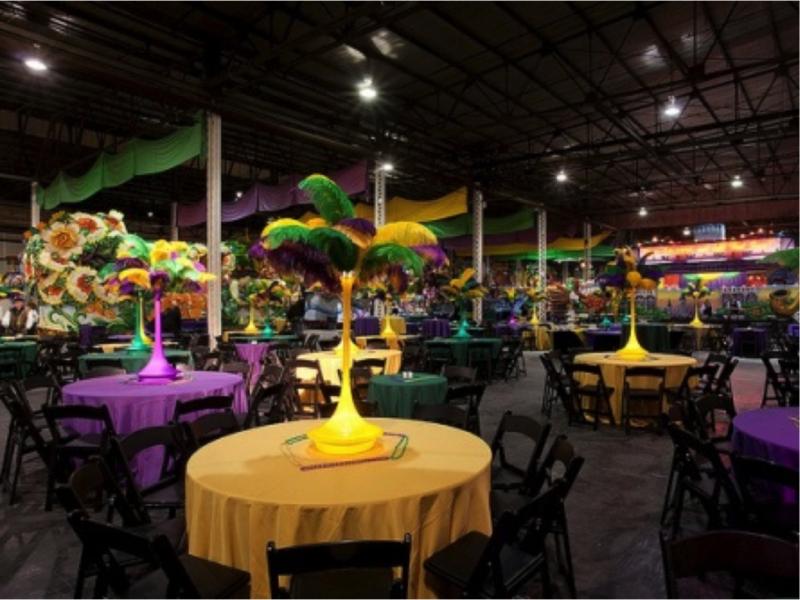 Mardi Gras World houses eight different venues and more than 200,000 square feet of private event space that can be configured for your next themed reception, meeting or corporate party. 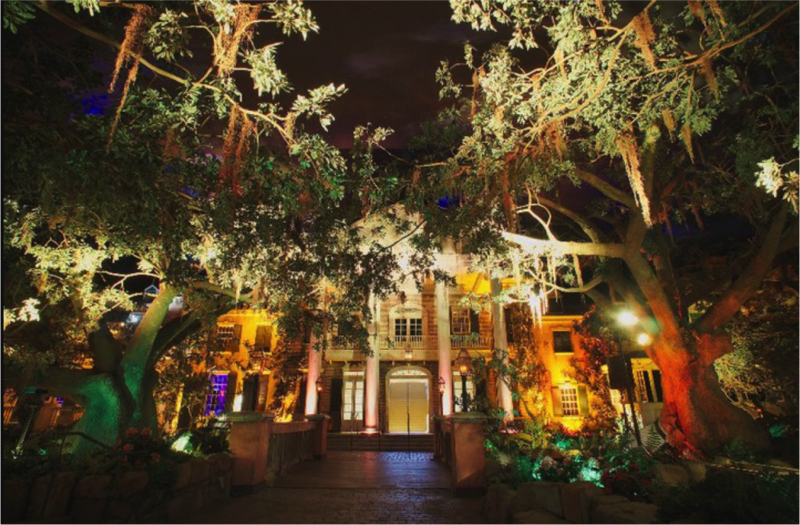 Greet your guests with Mardi Gras World’s whimsical carnival floats, impress them with a live jazz performance, or take them for a step back in time at the Grand Oaks Mansion. 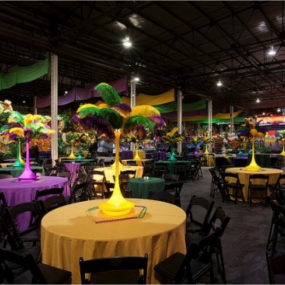 Mardi Gras World is a versatile event space that can accommodate corporate parties of almost any size or theme. 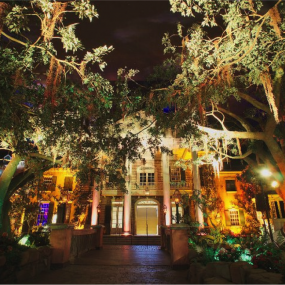 Enhance your experience with a live Mardi Gras parade right through the venue! 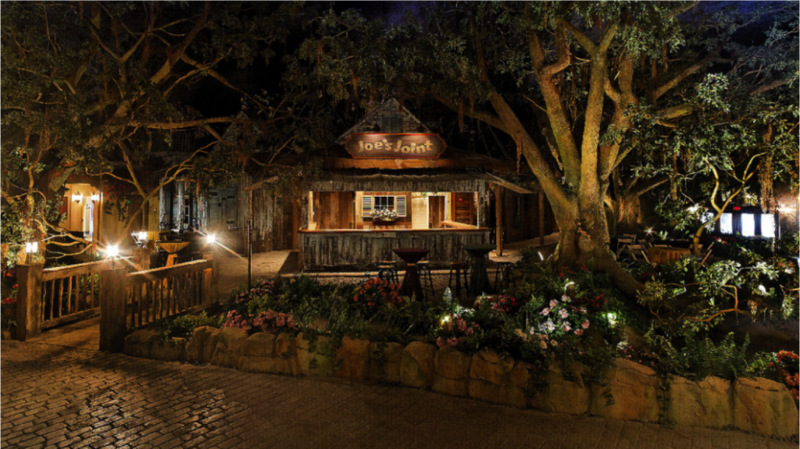 Plan a truly magical party for your next corporate event. From the intimate to the extraordinary, Mardi Gras World has a space to make your event memorable.